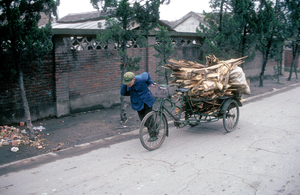 Transporting fuel in village, northern China. 1991. Photographer : John Coppi on January 01 1991.